If you are just getting started in your career or are looking to make a lateral move to a new industry or market, then you need to know about LinkedIn. With just a few simple steps, you can attract the attention of recruiters and hiring specialists, as well as network with other people within your industry. With that in mind, here is a brief primer for LinkedIn success. Quite simply, LinkedIn is a social network just like Facebook, except that it is business-oriented and based on connections that you have within your industry or your area of expertise. Thus, while you are connected to friends and family on Facebook, you are connected to your co-workers on LinkedIn. 2. Should I make a profile on LinkedIn? Absolutely. In fact, if you want to get the most out of your LinkedIn experience, you have to create a profile. 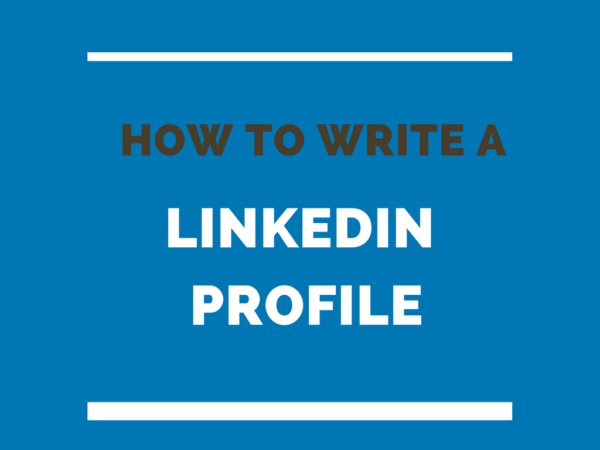 Don’t worry – LinkedIn will guide you through all the steps of creating this profile and advise you on what you can add to make your profile complete. 3. What is a profile summary? A profile summary is your opportunity to tell your story about where you are working now, what you are looking for in your career, and what you can do for employers or clients. It is the one place on LinkedIn where you can really let your personality shine through. And it’s a great way to “connect all the dots” in your professional background. Writing a profile summary on LinkedIn is similar to answering the question, “Tell me about yourself” during a job interview. 4. How do you do a profile? After you sign up for LinkedIn, you will be asked to make a profile. You will progress through a series of simple pages asking you to enter basic information such as your name, email, and industry. Getting started is not that different than registering for other social media platforms such as Facebook. However, after you’ve answered the basic questions making a profile on LinkedIn is a bit more complicated than making a profile on Facebook. This is because your LinkedIn profile is a lot like your resume or CV – it contains dates, names of employers, and special skills that you might have. Don’t be intimidated though: making a LinkedIn profile is relatively simple – as long as you have your resume in front of you. You will be asked to enter information such as dates that you worked for an employer, names of employers, and skills that you have. You then need to keep your LinkedIn profile fresh and updated, such as by getting recommendations from friends and co-workers. Another thing that helps a lot is if you already have your bio written. One way to get a well-written professional bio is to use a fill-in-the-blanks bio template written specifically for your type of work. It will make the task of writing a LinkedIn profile much quicker and easier. By default LinkedIn will give you a long combination of random numbers as your profile URL. The good news is that it’s very easy to change your URL to something more personal and user-friendly. What if someone else has already claimed your name? The best thing to do is to use a variation of your name, and then keep that variation consistent throughout your LinkedIn profile. For example, if your name is Jason Smith, chances are someone else will already have the URL www.linkedin.com/JasonSmith. Choose a modification of your name, perhaps including your middle name or initial. For consistency, also change your profile name on LinkedIn to the new name. For example, if the name you choose for your URL is www.linkedin.com/JasonMSmith, then edit your profile name to read Jason M. Smith. That will set you apart from the dozens of other Jason Smiths out there. Research shows that LinkedIn profiles with a photo are seven times more likely to be found in a LinkedIn search than profiles without a photo. A photo makes you look more legitimate, so it helps establish trust. You don’t necessarily need to get a professional photographer to take your photo; enlist a friend to take a headshot of you. You’ll probably need to take many photos – fifty or more – until you get one that shows you off in a professional manner. The most important factor in taking a good profile photo is lighting. For best lighting take the photo in daylight beside a window (beside the window, not in front of it) or outdoors. Stand in front of a non-distracting background such as a wall (brick walls look especially nice) or an office window. Don’t do a selfie – it looks unprofessional. 7. What is the headline in the LinkedIn profile, and what should I write? The headline is a 120-character area right under your name where you can explain “what you do.” In English the average length of a word is 5 letters, so 120 characters is about 24 words. How would you describe yourself to someone else in 24 words or less? In general, your headline should be unique and memorable, and it should easily convey to the person viewing it what you do and how you can help them. Many people simply use their job title (e.g. product manager) and then add a few clever descriptors to help make them stand out. That’s OK, but even better is to describe who you are, what you do, AND what you can do that will be of benefit to the reader (readers naturally are asking “what’s in it for me”?) But remember – you only have 120 characters, which is less than a regular tweet on Twitter! ________(your name) is a _________(your profession) who helps _______ (who you help, i.e. your clients or customers) to _________ (what you help them with, usually a problem you solve). 8. Where can I view LinkedIn summary examples for job seekers? The easiest way to see LinkedIn summary examples is by clicking on the profiles of other people who are in your LinkedIn network. In general, your LinkedIn summary needs to be less than 2,000 characters and include a few keywords to help recruiters find you. Often, recruiters will read these summaries to see if someone will be a good culture fit or not for their organization. [A] Professional with a goal to be hired. Experienced in _________, _________, and _________. [B] Open to opportunities using my proven skills in _________, _________, and _________. 9. Can I view LinkedIn profiles if I’m not a member? If you’re not a LinkedIn member, you won’t be able to view someone’s full profile. However, you will be able to view the first part of their profile (name, headline, photo), which is called their “public profile”. Just do a Google search for the person’s name + LinkedIn. If you aren’t searching for a particular person, but just want to see examples of LinkedIn profiles, just search “LinkedIn profiles”. You could also add your type of job or industry to the search to see examples similar to you. Ultimately, success on LinkedIn involves a bit of discovery. See what other people with similar job titles are doing, and then add your own unique flair and originality so that you stand out in a crowd of other jobseekers! Does writing a profile seem like just one more task on your long to-do list? Are you unsure about your ability to present yourself in the best possible light? If so, get a fill-in-the-blanks bio template written specifically for your type of work. It will cut the work of making a LinkedIn profile down to next to nothing – you’ll have it all done and complete within the next 30 minutes!